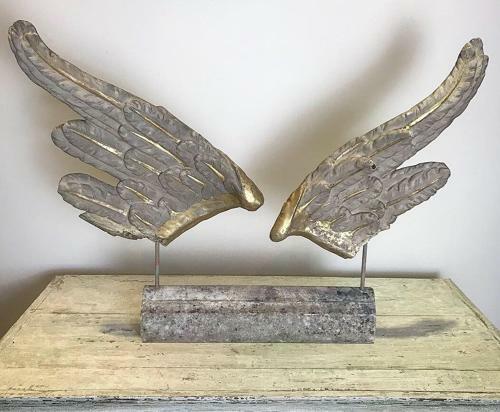 A beautiful pair of French 18th century carved wood Angel wings. With original paint and gilding. Later mounted on a solid marble base.